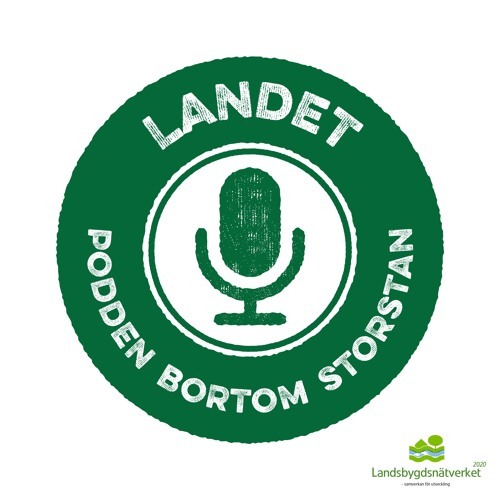 Landet goes international with a podcast in English about LEADER from a European perspective. The development of the LEADER method has been going on since the early nineties in the EU. With its bottom up approach with a local partnership LEADER has been ground breaking as a truly local and territorial approach to rural development. Listen to our guests discussing where and why the LEADER approach is successful. However, are there problematic parts as well? How can we use the method in the best way for future rural challenges? In addition, how does the increased bureaucracy in LEADER effect the work with local development? Quotes from the pod: – The method is close to the local people and it is close to the local needs. It translates the local needs into results. In addition, it is a matter of building trust with people, says Anastasios Perimenis. – If we do not do something about the bureaucracy we have today, I think it might be the end of the EU founding, Annika Nilsson says. – As a European taxpayer, I want to know that the money goes to good things and that it is spent in a good way. However, at the same time we do not want to be too strict. And we're working on It.”, says Johan Magnusson. – Leader needs to do more to demonstrate the benefits of participation for the business sector, John Grieve says. Participating in today's episode of the Swedish Rural Network’s podcast: Anastasios Perimenis, Local Action Group manager at Lesvos, Greece. Annika Nilsson, Local Action Group manager in LAG Linné Småland in Sweden. Johan Magnusson, director at the Community Lead Local Development Unit at the Swedish Board of Agriculture. John Grieve, Coordinator for LEADER and CLLD at the ENRD. Download 23. Is LEADER a Leading Method in Europe? Users who like 23. Is LEADER a Leading Method in Europe? Users who reposted 23. Is LEADER a Leading Method in Europe? Playlists containing 23. Is LEADER a Leading Method in Europe? More tracks like 23. Is LEADER a Leading Method in Europe?